New Delhi [India], Jan 16 (ANI): Actor Ranveer Singh on Wednesday posted a picture with the original 'Gully Boy' Naved Shaikh aka Naezy and has officially raised the coolness quotient up by a notch. Ranveer Singh is all set to hit the big screen with 'Gully boy,' a film that is inspired by the lives of Mumbai street rappers Vivian Fernandes aka Divine and Naved Shaikh aka Naezy. 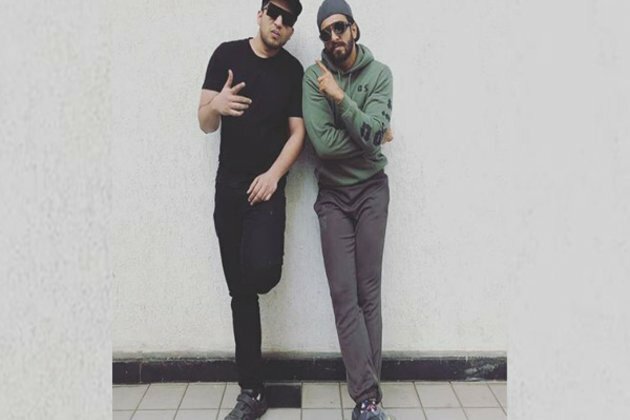 The Bollywood actor took to Instagram to share a picture with Naezy. The two can be seen posing in together, giving all the rap world vibes. "Guess who's back," the actor captioned the picture. Directed by Zoya Akhtar, the film features Ranveer and Alia Bhatt in the pivotal roles. The Karan Johar production is all set to take the audience on a musical journey of two inspirational rap artists.